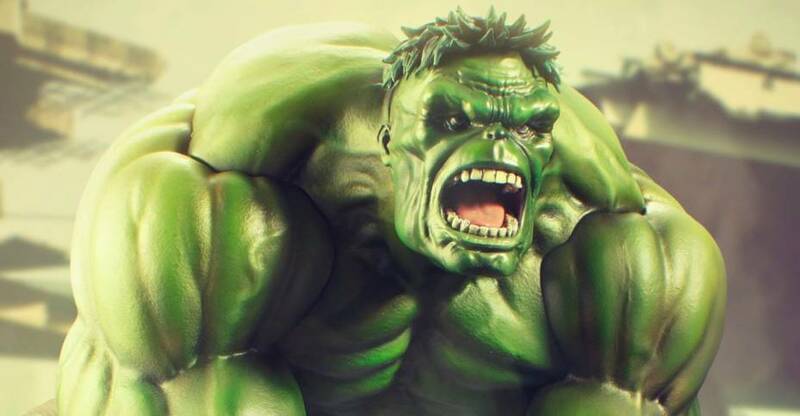 Kotobukiya has shared an update, giving collectors a look at their next high-end statue. 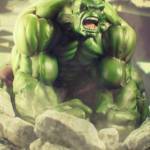 The Immortal Hulk joins the Marvel Comics ARTFX Premier Statue line. 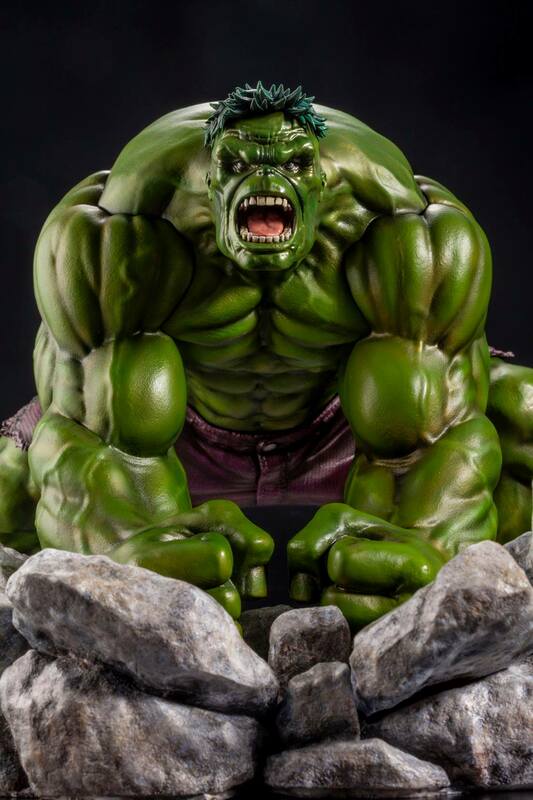 The statue is based on the 2018 The Immortal Hulk comic series, which is fairly crazy. The series is presented as more of a horror comic than a traditional super hero story. 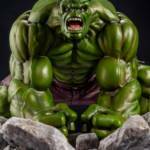 After Bruce Banner is shot and killed, the Hulk emerges, posing the question; Is the Hulk truly immortal? 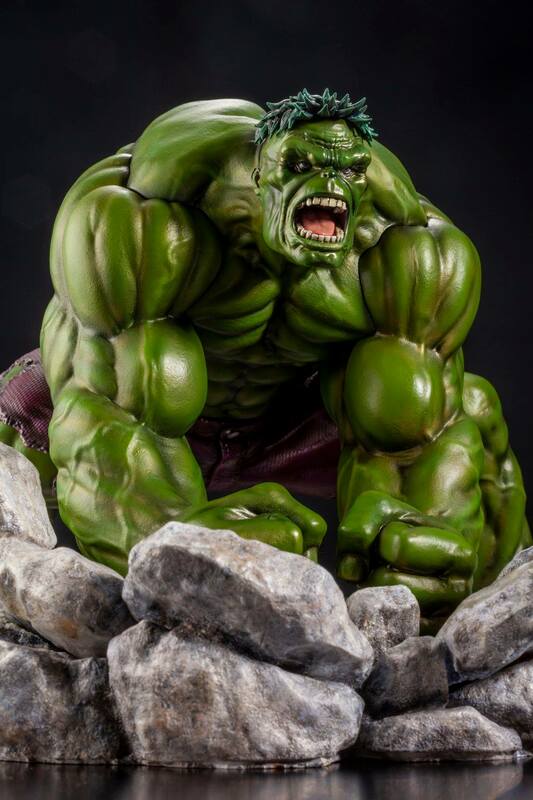 This 1/10 Scale Hulk Statue features the Green Goliath doing what he does best, wreaking havoc as he smashes his fists into the ground. The debris from his destruction forms the statue base. 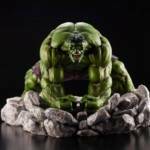 Previous reveals in the line include Thor, Captain America, and Iron Man. 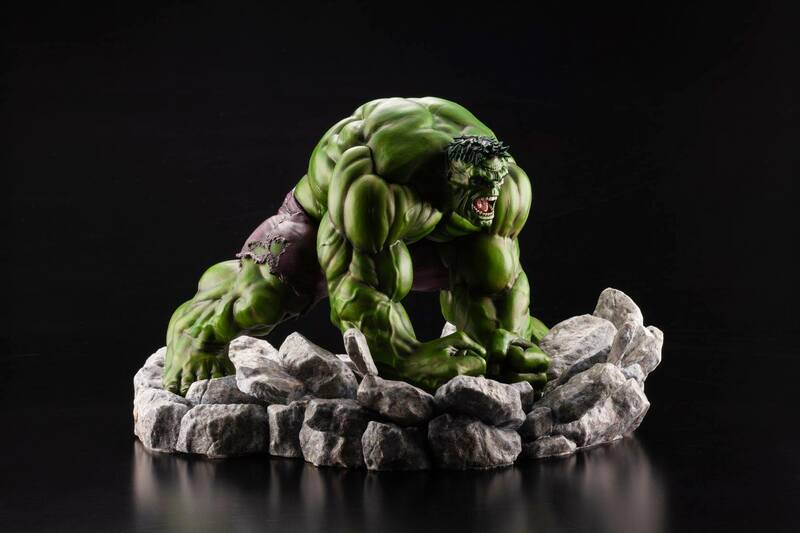 We don’t have official pricing just yet, but Kotobukiya promises that pre-orders will be going live soon. 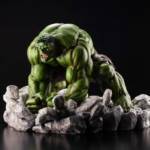 UPDATE 4/18/2019: Kotobukiya has opened up pre-orders. 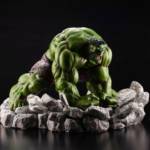 Check out the new details and pre-order link after the jump. 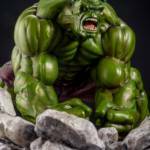 Pre-orders for the fourth ARTFX Premier statue are coming soon! 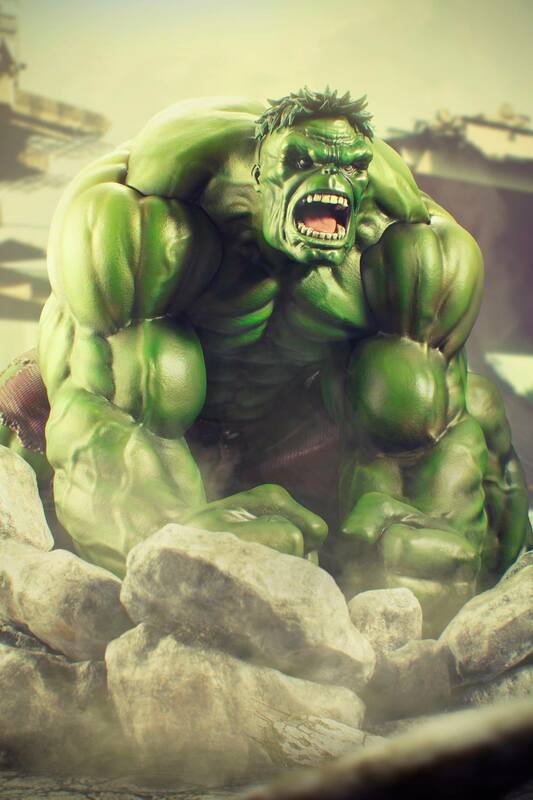 Based on the 2018 Immortal Hulk comic book series which returned the green-skinned giant to his roots, the transformed Bruce Banner delivers a titanic “Hulk Smash” to the base on which he stands. 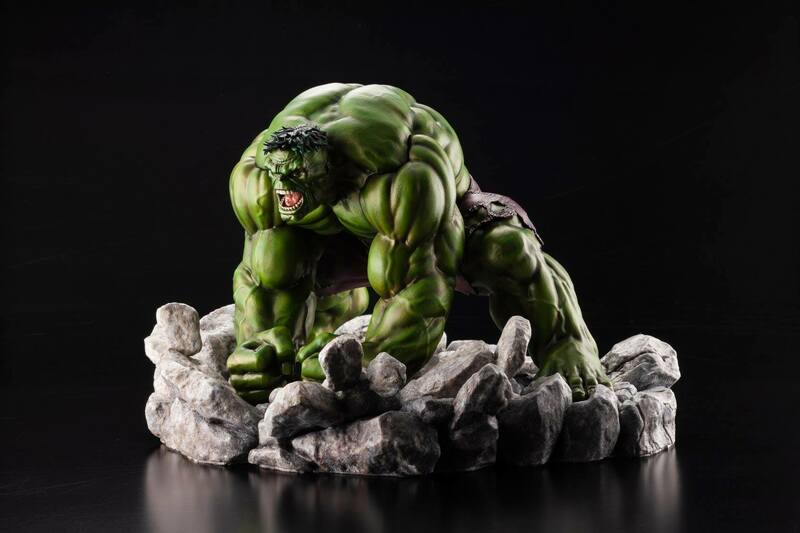 In order to give the ARTFX Premium statue a sense of overwhelming power beyond the likes of what can be seen on a computer monitor, the initial prototype was created using clay that was scanned and transformed into 3D data. 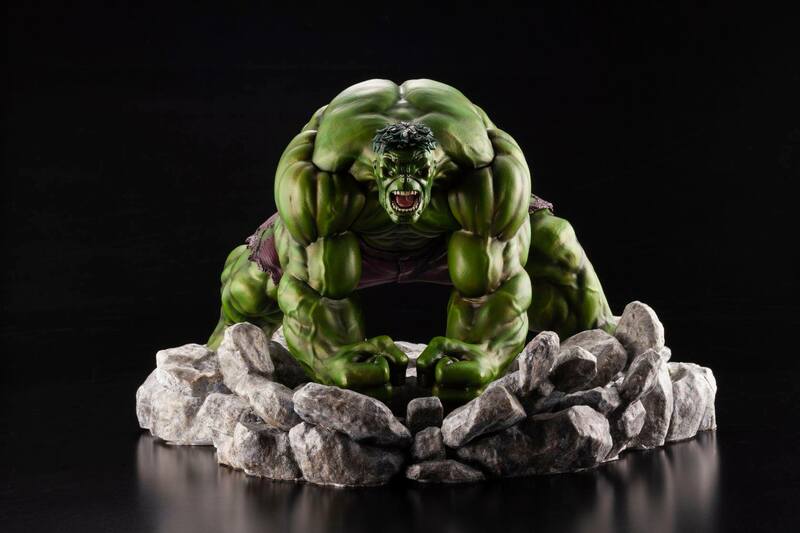 Then Kotobukiya’s team could fine-tune all of the important, subtle details like the textures of the Hulk’s skin and shredded trousers. crafted collector’s piece an exquisite appearance alongside lifelike detail. finished product an unprecedented sense of beauty and depth. detail that offers quality alongside quantity. Looks nice. The comic is absolutely amazing.